The queen of country is back!! Dolly does it every time... Love the new album and what a great choice for the first single, one of my favorites on the album :)) Dolly looks great! What an amazingly uplifting song and video! Dolly has never sounded or looked better. Dolly is great as always! 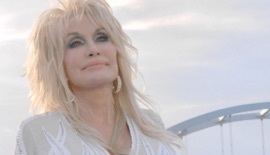 The Video is beautiful as is Dolly. Keep the music coming Dolly- you can do no wrong!